Analytics is where more companies state they have the biggest talent gap according the OMI Study. The State of Digital Marketing. This is the issue on the surface. But is there a bigger problem that lies beneath? Analytics is the study of past historical data to research trends and evaluate performance to gain knowledge and effect decisions. The result being to make improvements that create change. Why do so many companies believe strong analytics solve a problem? 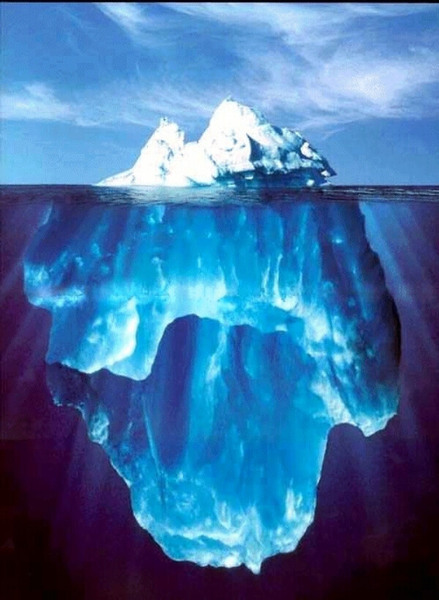 Or is this the tip of the iceberg and another issue lies below the surface? Here are the 5 real reasons analytics is the most coveted marketing skill (with the facts that back them up). MAKE BETTER DECISIONS: Analytics gets to better business decisions. RETURN ON INVESTMENT (ROI): Analytics determine how effectively the business and financials are being managed. BIG DATA: Analytics gets us ready for Big Data. BarnRaisers helps companies use analytics to make improvements and create change. Digital Analytics, Measurement and ROI are courses I teach in the Digital Marketing Mini-MBA program at Rutgers CMD. Class is in session the week of March 31st. I also am a co-author of Strategic Digital Marketing, the ultimate crash course in digital marketing, and wrote the chapter on Measurement and ROI. Does your company need analytics help? Do these reasons explain to you why analytics is so important to so many companies?